Moves do not have to be complicated. Something as simple as a moving checklist can make your moving easier on you. 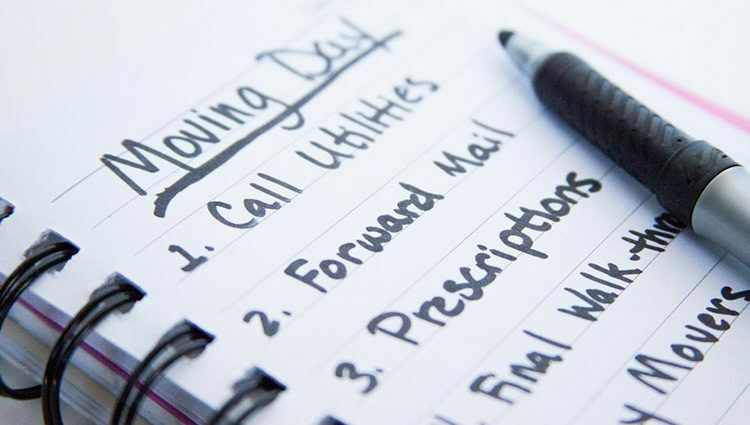 Making a checklist simply involves you getting organized. If you are not sure where to start, in the paragraphs below, you will find that we have already created a moving and relocating checklist to help you out. Find a Moving Company – If you plan on hiring a moving company, you need to take time to do some research in order to find the best. Compile a list of different moving companies and then look up reviews on them. Get a quote from each company that suits your needs in order to find one within your price range. Sort Things Out – Go through each room of your home, starting with your closet. Determine what you would like to keep and what you can get rid of. If something isn’t useful to you, then there is no reason to move it. Go ahead and hold a garage sell, donate the item(s) or sell it online. For the items you would like to keep, determine if they need special packaging or if they will require extra insurance coverage. Sorting through your stuff is going to take some time, which is why we put it on your list of things to do 2 months prior to moving. Your Children’s School Records – Two months prior to moving, visit your children’s school and arrange for their records to be transferred over to the new school they will be attending. Order Supplies – Go ahead and order your boxes and shipping tape. It is now time for you to start packing the items you have decided to keep. Hopefully, by now, you no longer have the items you no longer want. When you are packing your items, make sure you clearly label the boxes so that you know exactly what is inside. Separate the breakable items and write “FRAGILE” on the box. Put the Mover in Stone – It is now time for you to put your moving company in stone. Go ahead and choose the company and schedule the date. Change Your Address – Go down to your post office and inform them about your change of address. You will need to fill out a change-of-address form. You could also fill this form out online at usps.gov. Ask your neighbor to watch your mail after you move, just in case there are any stragglers. Once everything is packed in the moving van, go ahead and look through the home in order to make sure you did not leave anything behind. This article has been brought to you by https://rhinomovesyou.com/. The tips from Move And Relocate are from professional movers with many years of moving experience. This ensures that the moving tips be accurate and helpful.